In the UK our schools programme, HandsUP, is helping to shape the next generation of global citizens. 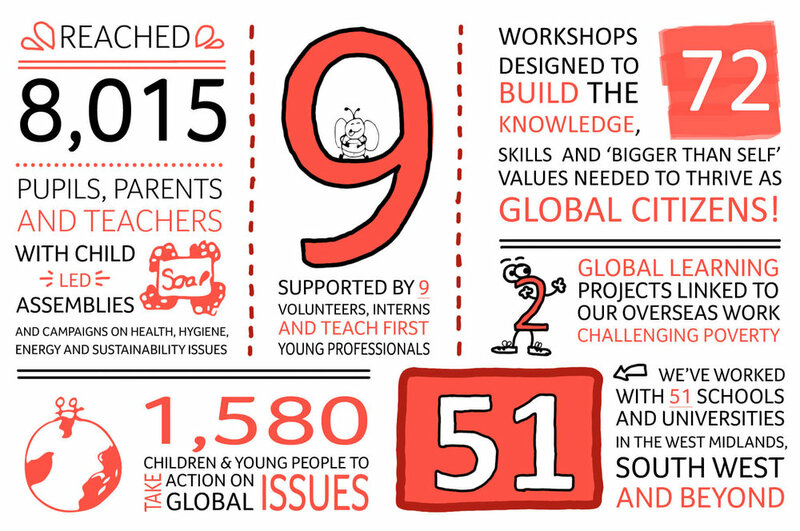 Since 1996, we have worked with schools to build young people's global knowledge, 'bigger than self' values and leadership skills needed to create a healthier, fairer and more sustainable world for all. Playing Germ Tag - let's hope Soap catches up with him soon! We bring global issues to life in the classroom in a fun, positive and engaging way. Our goal is to inspire children and young people to put their ‘hands up’ to take action for a fairer, more sustainable world. The language we use is united, not divisive. We represent all people with dignity and respect, and strive to break down misconceptions of poverty, people and global issues. We draw on 40 years’ experience of tackling global poverty and inequality around the world. We take a critical approach to knowledge to challenge norms and assumptions about development. Our work is designed to strengthen ‘bigger than self’ values of justice, dignity, respect and responsibility. This is so that young people grow up to be empathetic, not apathetic, citizens. We explore issues through a local and global lens, and aim to bring in diverse voices and perspectives from the people we work with around the world. We learn to see the world through the eyes of others. Motivation is key! This is driven not by pity or guilt, but through a sense of global citizenship, shared responsibility and a united purpose. We learn from the past and look towards a more sustainable, healthy and equitable future. We build key skills for children to thrive in a global society. We practise critical thinking, communication and leadership skills. Hands UP for health introduces KS1 children to world health and sanitation issues using fun, familiar games and activities. 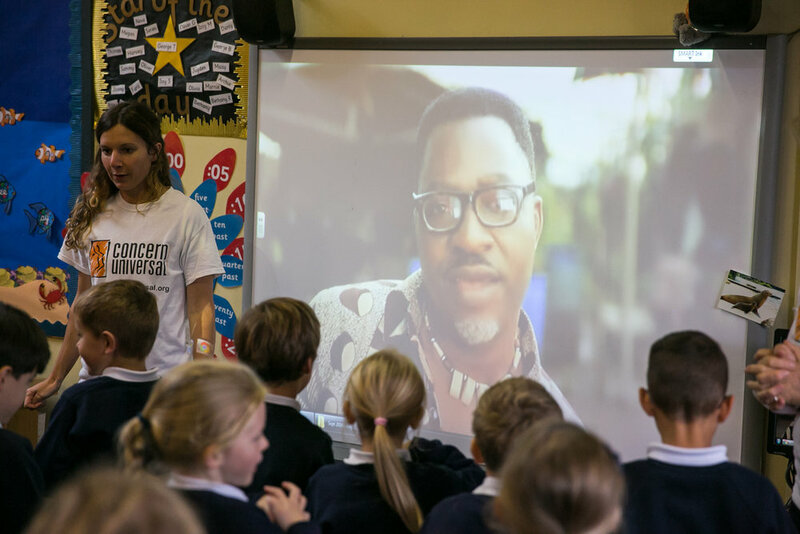 Children learn about germs and the importance of using soap through Top Trumps and glitter - and they develop global awareness as they travel the 'toilet trail' and learn a dance to a popular West African song. Find out more about our Global Handwashing Day activities here. 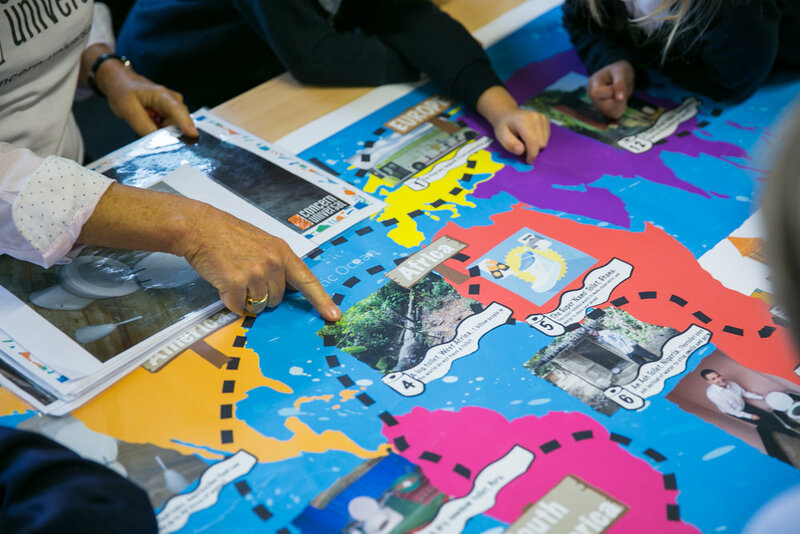 In KS2, children take part in a series of inspiring workshops where they learn about the meaning of sustainability and plan their own assemblies and activities to lead more sustainable lives. They make their own Malawian fuel-efficient stoves from clay, take a trip to the future to investigate a 2-degree warmer world, compare CO2 emissions around the world... and much more.